The absolute character of the prohibition of inhuman or degrading treatment, invoked to justify findings of ‘indirect’ and ‘potential’ violations of the European Convention, brings the Court to speculate about future events in States non parties and to rely on secondary sources. Those special characteristics combined with new developments (such as its declaration that interim measures have become binding, the continuous lowering of the threshold of the applicability of Article 3, the transformation of that civil right into a social right and the recognition of asylum seekers as ‘a vulnerable population group in need of special protection’) increase the number and complexity of applications submitted to the Court by asylum seekers. It might be worthwhile to examine whether it would be preferable to transfer this kind of cases to a separate European Asylum Court which would exercise its jurisdiction in those applications with respect to States having explicitly recognized it. Earlier this month, the Grand Chamber of the Court issued delivered its judgment in the case of Nada v. Switzerland. A long-awaited judgment, since it deals with the implementation of a UN Security Council resolution by one the state parties to the ECHR (see my earlier notification here). The case concerns a businessman of Italian and Egyptian nationality placed on the UN anti-terrorism sanctions list for several years. 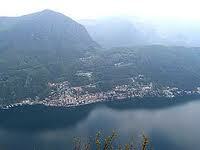 What makes the facts peculiar is that the applicant lives in the Italian enclave of Campione d'Italia, a small 1.6 sq. km enclave on Lake Lugano, surrounded by a Swiss canton. Since the sanctions imposed a prohibition on transit, Nada was de facto rarely able to leave the small emclave to visit family or friends. The Grand Chamber (unanimously) found violations of both Article 8 ECHR (respect for private and family life) and Article 13 ECHR (effective remedy). 196. In the light of the Convention’s special character as a treaty for the collective enforcement of human rights and fundamental freedoms, the Court finds that the respondent State could not validly confine itself to relying on the binding nature of Security Council resolutions, but should have persuaded the Court that it had taken – or at least had attempted to take – all possible measures to adapt the sanctions regime to the applicant’s individual situation. 197. That finding dispenses the Court from determining the question, raised by the respondent and intervening Governments, of the hierarchy between the obligations of the States Parties to the Convention under that instrument, on the one hand, and those arising from the United Nations Charter, on the other. In the Court’s view, the important point is that the respondent Government have failed to show that they attempted, as far as possible, to harmonise the obligations that they regarded as divergent. Whatever room for manoeuvre there is for the state should thus be used and state parties should not too readily assume that SC resolutions clash openly with human rights and that therefore they have no latitude in mitigating human rights effects. A good principle, but when looking at the text of the UN resolution (No. 1390 of 2002) at stake, not entirely convincingly argued. The concurring judges (no less than seven) agreed with the outcome but where not convinced by various aspects of the Court's reasoning on the Article 8 aspect, primarily this finding that Switzerland still had some real latitude in implementing the Security Council's resolutions. As a sidenote: both the United Kingdom and France intervened. Italy, of whom Nada was a citizen, did not. In addition, the human rights NGO Justice was given leave to intervene (see their intervention). The webcast of the hearing in the case of March 2011 can be found here. Finally, for some reports in the Swiss press, see here (Le Temps), here (Le Matin), and here (Neue Zürcher Zeitung). 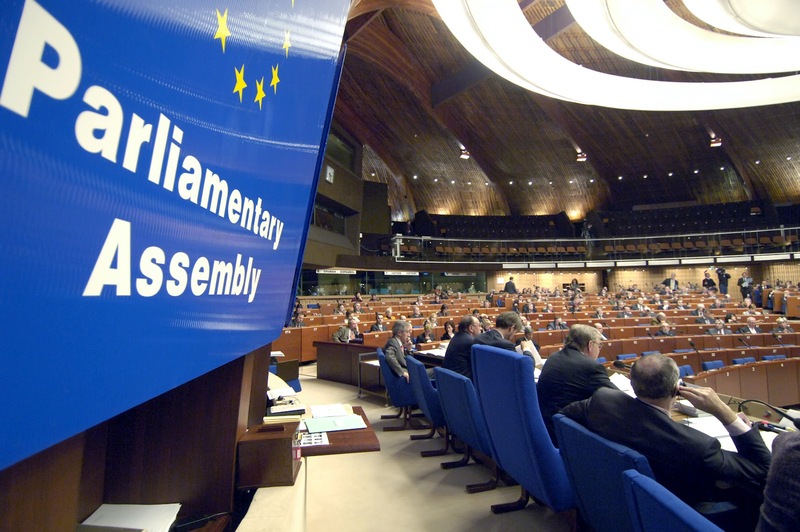 Bosnia and Herzegovina, Croatia, Moldova, and the Russian Federation have all submitted lists of three candidates (some of them new ones after earlier lists had been sent back or candidates withdrew) to the Parliamentary Assembly of the Council of Europe. One may note that the three Russian candiates are either academic experts in business law or judges in Russia's Supreme Commercial Court. Ladies and Gentlemen, may I join with the President of the Parliamentary Assembly Jean-Claude Mignon and the Secretary-General Thorbjørn Jagland in welcoming you all to Strasbourg. I would like to open this debate with words of thanks to the Parliamentary Assembly for putting the future of the European Court of Human Rights as the first theme on the agenda of this high-level gathering. This is a time of a general movement in favour of Europe’s unique human rights protection system, and your parliaments are of course vital actors in this. In the same breath I would mention the role of the Parliamentary Assembly, which has kept faith with the Convention and the Court since the very beginning. The first members of this body pressed the Governments of the day very strongly to create the first human rights treaty of the modern era. Every development in the Convention system since then has had the blessing of this institution, which has not wavered in its regard or its support for the European Court. My task today is to introduce the discussion of the role of parliaments in the future of the Court. We can be guided here by the position taken up repeatedly by the Parliamentary Assembly in its recent recommendations, resolutions and reports on the Convention and the Court. It comes to this - the role of parliaments is indeed a pivotal one. An interesting study published in Britain on the eve of the Brighton Conference made the point that there is a democratic deficit in the field of human rights. This is not, in the view of the authors, because the courts have exceeded their proper role, but because the Westminster parliament has yet to fully play its role in ensuring that human rights are effectively respected. That study looked only at the situation in the United Kingdom and the practice of Westminster, but its message may be relevant to other countries and other parliaments represented here today. In the process of reform of the Convention system that is now underway, there is one key word that speaks directly to legislators, and that is “subsidiarity”. In the context of the Convention, this term has a specific meaning – it defines the role of the Convention organs (the Court and the Committee of Ministers) relative to that of the national authorities – legislature, executive and judiciary. It was decided at Brighton to write this word into the text of the Convention – this will be one element of Protocol No. 15 that will in due course come before your respective parliaments for ratification. But subsidiarity has long been recognised as a cardinal principle of the Europe’s human rights system. It is implicit in the very design of that system, and the Court has been mindful of it from the beginning. The Strasbourg role is subsidiary to the national role. The primary responsibility for respecting human rights rests with States. It is for them to act in the first place. Failing that, it is then the responsibility of the Court and the Committee of Ministers to ensure that the rights which States have enshrined in the Convention are given effect to in practice. In this way, as the three high-level conferences on reform have put it, responsibility is shared between the national and the European level. And so the reform process rightly focuses on both. There is today a strong consensus over the importance of improving national implementation of the Convention. Nowhere is this clearer than in the Brighton Declaration, which opens with a detailed list of concrete measures that States should be considering. It can be seen as a broad blueprint - not one that is imposed by Europe, but one put together by States and made up of ideas and proposals that have proven their worth in actual practice, and can be adapted as required to other States. I believe that legislators will find much material to work with there, and I hope that the parliaments of Europe will take up the challenge of putting human rights onto a stronger footing. One aspect that I would highlight in particular is the provision of effective remedies at national level. This is no mere formality or technicality – it is the mainstay of the Convention system, and goes to the heart of subsidiarity. Domestic courts need to be equipped to play to the full their role in protecting Convention rights. This truism provides the key to understanding why some of the largest, most populous European States, such as Germany or Spain, account for relatively few cases before the Court. Turkey has drawn inspiration from these examples – a new individual remedy before the Constitutional Court takes effect this month, with the potential to strike a new balance between the domestic and the European systems. Where domestic remedies are lacking or deficient, applicants will continue to have recourse to Strasbourg for what they cannot find at home. What we should strive for is that an application to the European Court becomes the exception and not the rule, as it can sometimes appear. May I sketch very briefly the current situation of the European Court of Human Rights. 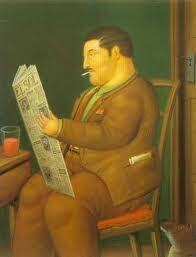 I begin with the good news that one of the structural reforms of Protocol No. 14 has worked extremely well in practice. I refer here to the new power of the single judge to filter out clearly inadmissible cases. Because of this, the tide has actually turned – for the past year, and for the very first time, the number of cases pending before the Court has started to go down month by month. The problem of repetitive cases remains intact, however, with nearly 40,000 of these pending. It is not a generalised phenomenon – it affects only some States. But it creates serious difficulty for the Convention system, placing great strain on the Court and hindering the efficient administration of justice. Faced with such huge numbers of cases, the Court operates a policy of prioritisation, with the highest priority going to the most urgent, serious and significant applications. The consequence of this is that many thousands of applicants have little prospect of seeing their case decided within any reasonable – or foreseeable – timeframe. I want to emphasise that the Court is willing to be part of the solution. To this end it adopts pilot judgments, and leading judgments, that provide guidance to national authorities about how to overcome deep-seated problems in the domestic system. Your role as legislators is obviously vital. The systemic problems that are brought before the Court generally call for legislative reform. Additional measures are often called for too, including the allocation of extra resources. At a time of financial crisis, these are not the most welcome of words. But the problems that cause thousands of individuals to bring repetitive cases to Strasbourg each year cannot be disregarded. The future of the European Court of Human Rights really does depend on States treating effectively the causes of repetitive cases, and the consequences. I turn now to a more general point that I consider very relevant to this distinguished gathering – the margin of appreciation that is accorded to national authorities by the Court. It is a concept often referred to in the same breath as subsidiarity – indeed, at Brighton the States decided to add both points to the Preamble of the Convention. In many types of case, the Court’s approach is first to determine the appropriate margin of appreciation. There is no general formula for this – whether the margin is broad or narrow depends on a number of variables. The second stage is to establish whether or not the national authorities remained within that margin. An important consideration here is the structure of national legislation, and the legislative process behind it. In the best-case scenario, the legislative process is clearly marked by a sensitivity on the part of legislators to the human rights implications of the laws adopted, reflected in the preparatory work and parliamentary debates. The legislature’s considered judgment carries much weight with the European Court of Human Rights, which recognises “that the national authorities have direct democratic legitimation in so far as the protection of human rights is concerned”, and that “by reason of their direct and continuous contact with the vital forces of their countries, they are in principle better placed than an international court to evaluate local needs and conditions”. As for the structure of national legislation, what I have in mind is the importance of proportionality, an often decisive consideration in human rights cases. A legislative regime that is closed to considerations of proportionality and the balancing of interests runs the very real risk of taking the State outside its margin of appreciation. That balancing exercise is a typical function of the domestic courts, but it may be done directly, and successfully, by the legislature itself. The Court has decided numerous cases in this sense. Given the growing scope and sophistication of human rights law in our modern societies, much is expected of our lawmakers. Access to expert advice on human rights law is therefore a prerequisite, as the Parliamentary Assembly has argued in its Resolution 1823 last year, and States have recognised, albeit in different terms, in the Brighton Declaration (at 9.c.ii). Here too the Court has shown itself willing to assist by continuously improving its practice when it comes to providing information on human rights case law. May I make one final point before concluding, and that relates to the subject of dialogue. In the European Court of Human Rights we believe very strongly in the value of dialogue with national authorities. Our main interlocutors are, of course, the senior courts of European States. But we have also been attentive to developing our contacts with parliaments. We regularly receive parliamentary delegations at Strasbourg, who can see directly how the Court functions and engage in discussions about the work of the Court with judges and legal staff. And official visits to Member States invariably include discussions with parliamentary authorities. These are valuable and useful contacts, and I can assure you that the Court intends to develop them further in future. They are, to use the words of the Brighton Declaration, an invaluable “means of developing enhanced understanding of their respective roles in carrying out their shared responsibility for applying the Convention”. The future of the European Court of Human Rights is among the highest priorities of the Council of Europe, and of very real importance to all the peoples of Europe. The Convention remains the crowning achievement of this organisation, and commands our wholehearted and enduring support. I know that, with your support and that of the parliaments you represent, the future of this remarkable Court and the protection of fundamental rights throughout Europe will be secure. The measures taken by state parties to implement relevant parts of the Interlaken and Izmir Declarations (to a large extent, a review of recent ECHR-implementation activity). Its report of this month on the issue can be found here. The effects of Protocol No. 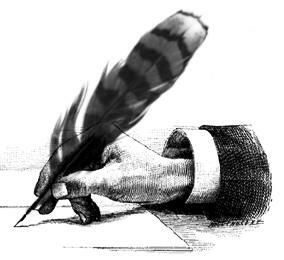 14 and of the Interlaken and Izmir Declarations on the work of the Court itself. The report on that issue can be found here, also of this month. It includes some encouraging initial conclusions about real prospects of getting rid of the Court's backlog in the coming years. The reports and agendas of the meetings of Group A can be found here. A second group ('Drafting Group B') focuses on implementating decisions taken following the Brighton Conference, specifically the drafting of two protocols to the ECHR: the first of which would amend the Convention on the issues agreed in the Brighton Declaration; and the second, being optional, would expand the Court’s competence to give advisory opinion, should the Committee of Ministers decide to adopt it. The first draft protocol (the prospective Protocol 15) is now ready and includes additions to the Convention's preamble (explicit addition of the subsidiarity provision) and the decrease of the 6-months admissibility time limit to four months, as well as some other changes. It's still just a draft, of course, but it gives an idea. On the second issue, advisory opinions, a Draft Protocol 16 was not yet approved by the drafting group, but initial ideas were discussed (see the report of last week's meeting here). The reports and agenda of Group B can be found here. Whereas some are more analytical (the one on the new admissibility criterion) and others are simply charts of relevant case-law (the one of the Inter-American Court case-law references), they are all extremely useful and up-to-date overviews of the jurisprudence particular to the issue at hand. Last week, the Court issued an admissibility decision which sheds some additional light on the Salduz jurispudence (on the right to have access to legal assistance for suspects when being interviewed by the police). 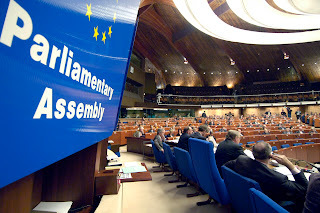 The 2008 Grand Chamber judgment, in which the Court found violations of Article 6 ECHR -(right to a fair trial), has already led to legislative and policy reforms in a number of state parties, but the extent of its reverberations remained somewhat unclear and has led to a lot of academic and policy debate. In the recent admissibility decision Simons v. Belgium (available only in French) the Court has now clarified that the lack of access to a lawyer during police interrogation, even if it may lead to a violation of Article 6 (in the case at hand the domestic remedies had not yet been exhausted on the issue), does not imply that the right to liberty under Article 5 ECHR is also violated. 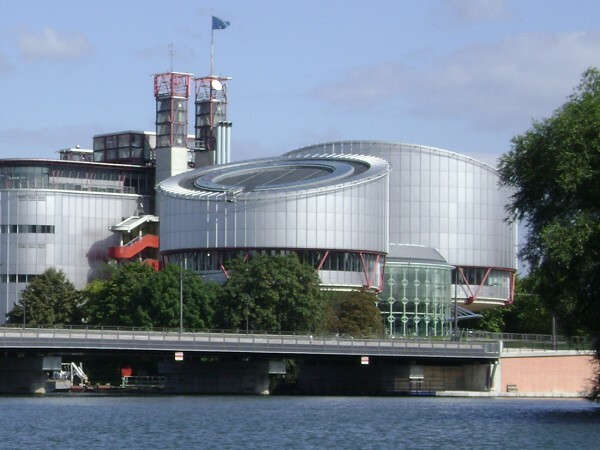 Over at the blog 'Human Rights in Ireland', Kanstantsin Dzehtsiarou has written a short blog post ('One of the Keys to the ECtHR Problems') about an aspect of the Court that is not often talked about beyond Strasbourg: its human resources policy. It argues that the fact that many lawyers are employed on temporary contracts may hamper the Court's effective functioning. The analysis focuses on one particular technique of interpretation: the doctrine of interpretation on the basis of the subsequent practice of the States Parties. I trace the use of this doctrine by three judicial bodies: the WTO-AB, the ICJ, and the ECtHR. The first organ represents a control, adopting a strict approach to subsequent practice. By contrast, I suggest that the ICJ and ECtHR have each adopted radically expansive approaches to subsequent practice, with the effect of transforming the powers and autonomy of the organizations to which they belong. For curious readers: the photo was taken by a colleague of mine from the University of Amsterdam on the walls of the Palais de Justice in Brussels. 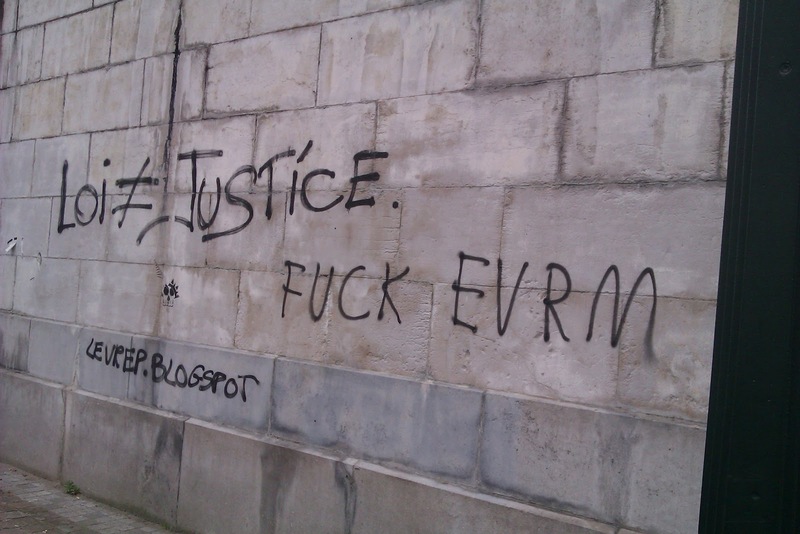 'EVRM' is the Dutch word for ECHR and 'Loi' is French for law. A suspect disappointed in the force and reach of the Convention? Since the single, permanent European Court of Human Rights (“the Court”) was set up under Protocol No. 11 to the European Court of Human Rights in 1998, the Court has not been able to dispose of cases at the same pace as they come in. Despite achieving remarkable productivity gains in the 12 years since 1998, the Court has so far never been in a position to reverse this imbalance between incoming and outgoing business. In 2010, 61,300 new applications were allocated to a judicial formation (an increase of 7% compared with 2009), whereas a little over 41,000 applications were terminated (itself representing an increase of 16% on the results achieved in 2009). Thus, for the 5,000 or so new applications being allocated each month the average monthly deficit, inflating the number of pending applications, was almost 1,700. On the other hand, the single‐judge formation, one of the innovations provided for in Protocol No. 14, has led to an increase of no less than 46% in comparison with 2010 in the number of applications (39,882) rejected as inadmissible or struck out in the first ten months of 2011. Despite this jump in productivity, the monthly deficit remains at 1,250 applications and the stock of pending applications has risen to the record height of almost 155,000 applications. The mathematics is simple: the Convention system is bursting at the seams. The consequence of the constant imbalance between input and output is that the list of pending cases, the backlog (that is, the stock of all those applications not processed within what is considered to be a reasonable time) and the delays for applicants have been inexorably increasing each month. The metaphor of the death of the Convention system by slow suffocation has been used. What is sure is that if the trend of incoming applications outstripping decided cases continues, there must come a point where the Court is so overwhelmed that the breakdown of the Convention system will be inevitable. The Working Party of the ELI, chaired by Paul Mahoney from the UK and assisted by an Advisory Committee consisting of senior judges and experts in the field, addressed the caseload at the Court. 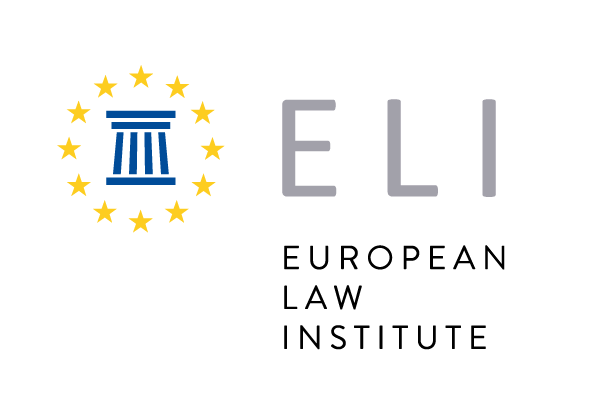 The result - the ELI Statement on “Case-Overload at the European Court of Human Rights” - aims to propose practical steps which can help the Court settle the backlog while at the same time maintaining the high quality of work. The judge elected on behalf of Luxembourg, Dean Spielmann, has today been elected by his peers as the successor to the Court's current President, Nicolas Bratza. 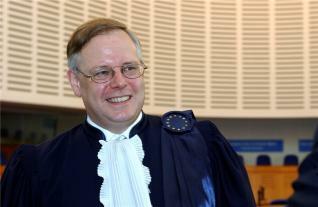 The latter's term of office as judge at the European Court of Human Rights is due to expire on 31 October. Spielmann will succeed him on 1 November. The change comes after a momentous year in the Court's history, with more external criticism than before (although the storm seems to have subsided a little) and with the Brighton reforms on the agenda for the years to come. Judge Spielmann will thus face not only the daunting task of more streamlining of the Court's own procedures in order to tackle the now finally slightly decreasing caseload - in addition, his role will also be one of public diplomacy in continuing to explain - like his predecessors - the Court's important role in the European system of human rights protection. Dean Spielmann has been a judge at the Court since 2004, Section President since 2011 and Vice-President since this summer. The latter election was to attentive observers a sign that judge Spielmann was in the running for the Court's presidency, just as another recent event might have provided a clue: on a visit to the Inter-American Court of Human Rights two weeks ago, the Court's current President, Bratza, was accompanied by a Spanish-speaking colleague (Casadevall), section registrar Quesada and ... Judge Spielmann. A short CV can be found on the Court's website. The election also led to more reshuffling within the Court. Guido Raimondi, judge in respect of Italy, will be Vice-President as of 1 November and Mark Villiger (Liechtenstein) and Isabelle Berro-Lefèvre (Monaco) will become Section Presidents. They have all been elected for a three-year term and will take up their respective duties on 1st November 2012. In an interview given to a Luxemburg newspaper, Le Quotidien, on the occasion of his election as Vice-President a few months ago one can read some of Judge Spielmann's views on the Convention, the Court and its role. Although he emphasizes that the Court cannot invent new rights, he does strongly advocate the Court's standing case-law that the ECHR is a living instrument to be interpreted according to present-day conditions, or in Spielmann's words to give the Convention "un relief contemporain". My congratulations - and wishes of good luck and much wisdom - to judge Spielmann and the other judges appointed in their new functions! * G. Martinico, 'Is the European Convention going to be ‘supreme’? A comparative-constitutional overview of ECHR and EU law before national courts', European Journal of International Law, vol. 23, no. 2 (2012) pp. 401-424. * B. Dunlap, 'Protecting the space to be unveiled: why France's full veil ban does not violate the European Convention on Human Rights', Fordham International Law Journal, vol. 35, no. 4 (2011/12) pp. 968-1026. * N. Holcroft-Emmes, 'Life after Bankovic and Al-Skeini v. UK: extraterritorial jurisdiction under the European Convention on Human Rights', Oxford University Undergraduate Law Journal, no. 1 (2012) pp. 11-18. * L. Lavrysen, European Asylum Law and the ECHR: An Uneasy Coexistence, Goettingen Journal of International Law, vol. 4, no. 1 (2012) pp. 197-242. During the last two decades the European Union has become a major actor in the field of asylum law. Meanwhile, human rights law, in particular the European Convention on Human Rights (ECHR), has become of paramount importance in this field. This paper highlights certain areas of concern in the European Asylum System from the viewpoint of the ECHR. It particularly focuses on the Dublin II Regulation, the reception conditions and the detention of asylum seekers. 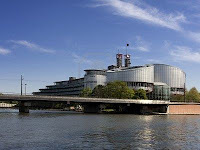 The European Court of Human Rights is currently overloaded with cases (there were almost 150,000 pending applications at the end of March 2012). Some 90% of all applications are eventually declared inadmissible. Such cases clog up the Court’s docket and obstruct its examination of more deserving cases where the admissibility requirements have been satisfied and which may concern serious allegations of human rights violations. The 2010 Interlaken Conference on the reform of the Court called upon the “States Parties and the Court to ensure that comprehensive and objective information is provided to potential applicants on the Convention and the Court’s case-law, in particular on the application procedures and admissibility criteria”. The Court’s first response to this call was to prepare this practical guide on admissibility criteria. The guide seeks to reduce the number of obviously inadmissible cases by enabling legal practitioners to properly advise their clients on their chances of bringing an admissible application. 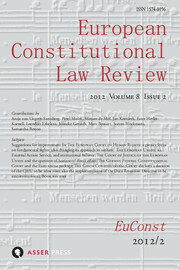 This second edition covers case-law up to the end of March 2011.